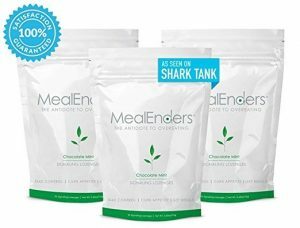 Mark Bernstein is a San Francisco native who decided to reach out to the sharks and ask for $350,000 for 8% stake in his company, MealEnders. The company offers a quick solution to overeating in a quick, and easy to use pills. Bernstein is the founder and CEO of MealEnders. He first got this idea when he was advised by his physician to lose some weight as he got older. After starting to feel more conscious about his own eating habits, Bernstein started to look for a solution to overeating. He ended up reaching out to the leading food development company in the United States, which helped him formulate MealEnders. Bernstein ended up losing 15 pounds and coming up with a business idea: The MealEnders. The product’s goal is to suppress appetite and therefore help with weight loss and weight control. All the products the company has released so far are signaling lozenges that combine behavioral psychology and sensory science. According to Bernstein, these miraculous pills help with overeating prevention, mastering portion control, and curb snacking. The pills are available in different flavours: chocolate-mint, mocha, citrus, and cinnamon. As the sharks gave it a try, the initial response was pretty good, with Barbara referring how delicious the outer chocolate was. Afterward, the cooling and tingling sensation from the pill’s core could be felt, although none of the sharks liked this part of the pill, except for Barbara. Bernstein also referred that each pill has 15 calories and 2 grams. So how successful has the MealEnders been so far? The product has been in the market for one year and a half and has had less than 2% returned products and 100% satisfied customers, although there have only been around 6,000 re-orders, that is, around 21%. He also added that after some research, they found that over 75% of customers stopped eating earlier on during the meal, avoided snacking, and lost weight. The sales reached $1.4 million in 1.5 years, and the retail price ranges from $16.95 for one bag, although there are different packages available, with the lowest starting at $8.99 if you choose the so-called “continuity plan”. So far his family has invested $200,000 and has received $1.1 million in donations. There have been some profitable months, although the money made is being used on product development and advertisement, with half of the sales’ money being used on advertising alone. After knowing that only 21% of customers were reordering the product, Mark Cuban backed out of the deal. Robert Herjavec didn’t appreciate that the MealEnders were categorized as a dietary supplement, which he believes is not a very profitable field due to the amount of products being introduced, so he too backed out. O’Leary praised the fact that Bernstein was the first entrepreneur on the show to actually have a legitimate weight loss product. Ultimately it came down to the inner layer’s tingling taste which O’Leary didn’t like and therefore made him back out of the deal. Lori also expressed her dislike for the product itself and quickly turned down the chance of investment. Barbara was the last shark who Bernstein could turn to, although she also ended up not making the deal due to concerns about the amount of money necessary to take this company to the next level. 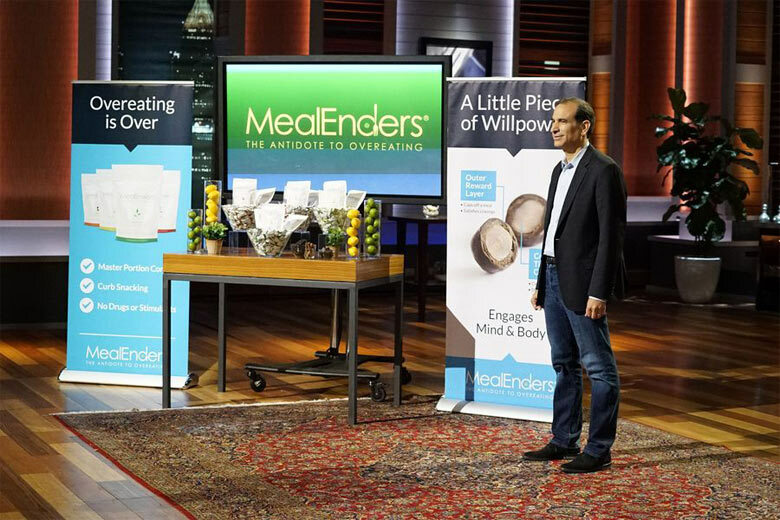 What happened to MealEnders after Shark Tank?